The iPhone 5S has just been unveiled (shipping September 20th), and perhaps the most amazing feature (other than the fingerprint scanner) is the camera. Apple put a lot of thought into it, and dramatically increased the quality of photo and video in every way. I’d qualify this as a point-and-shoot camera killer (past phones have severely dented it, but they’ve never crushed the market like this). This photographer says Apple nailed it. 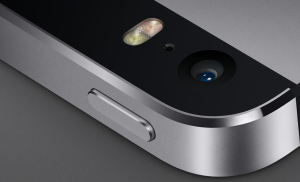 The iPhone 5S beats every smartphone in the camera category – including the Lumia 1020. Burst Mode! Huge 10 FPS burst. This is actually faster than professional cameras. Great for sports and action photography. 120 FPS Slow Motion HD video (most video is 30 frames per second). Slow motion is a blast, but it’s never been available in HD for such an amazing price before.